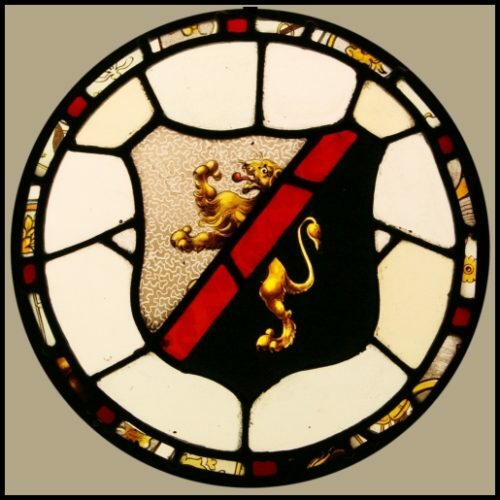 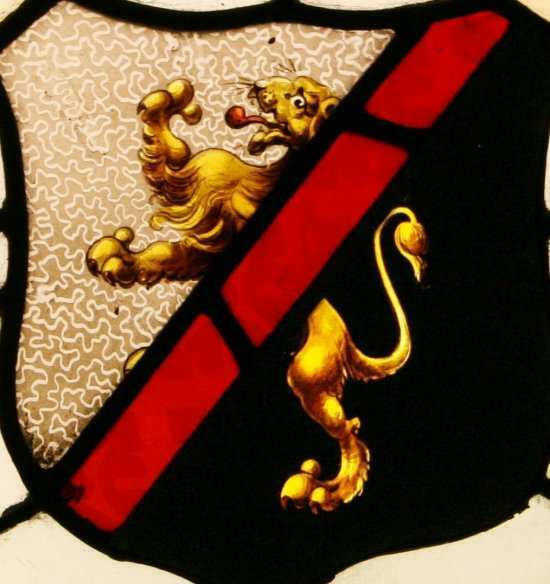 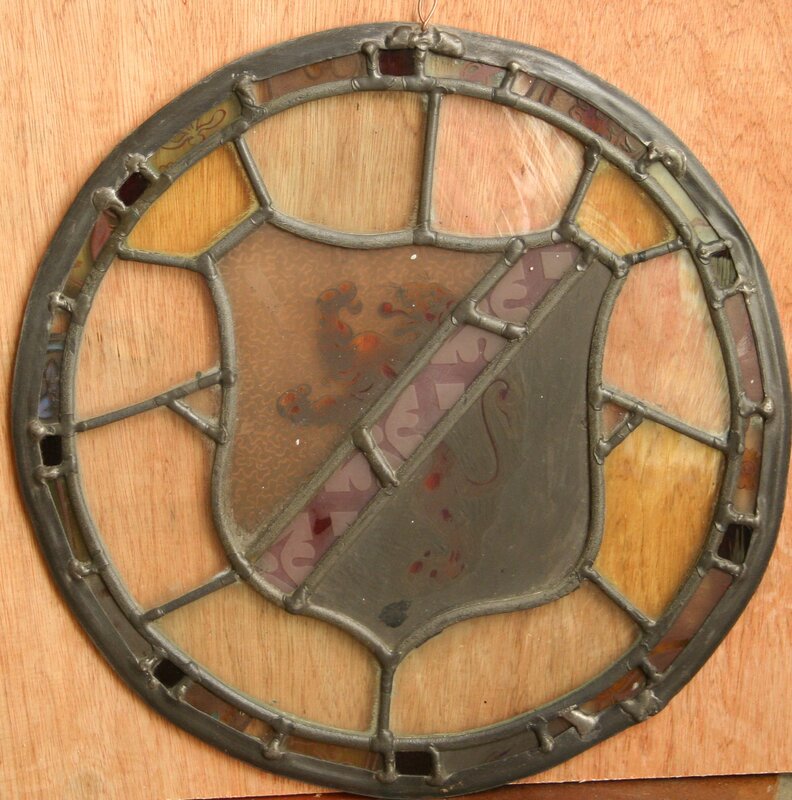 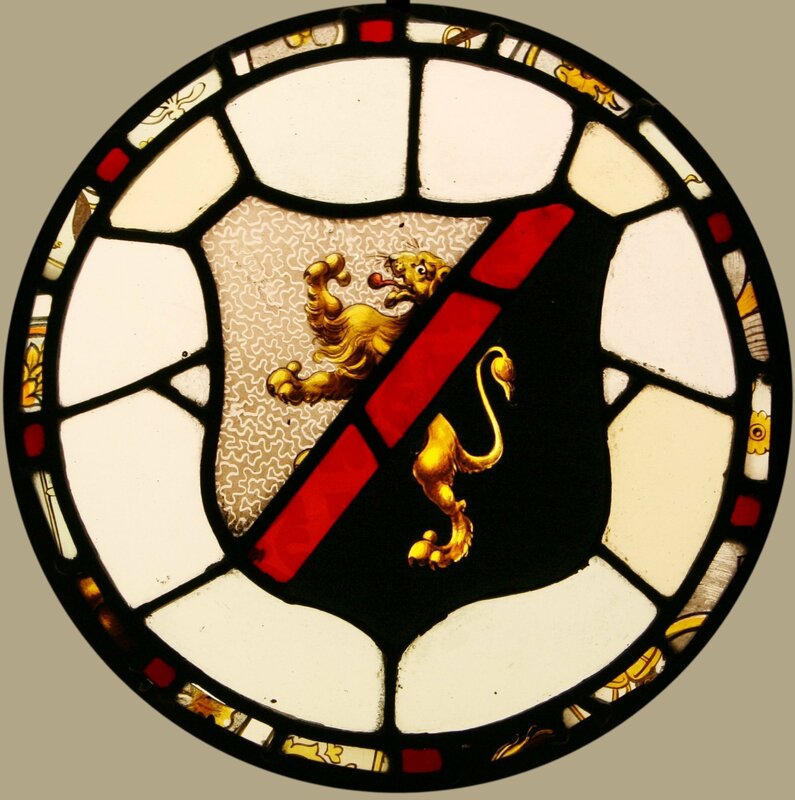 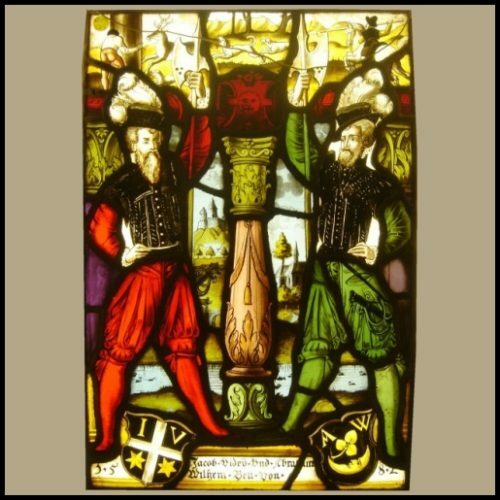 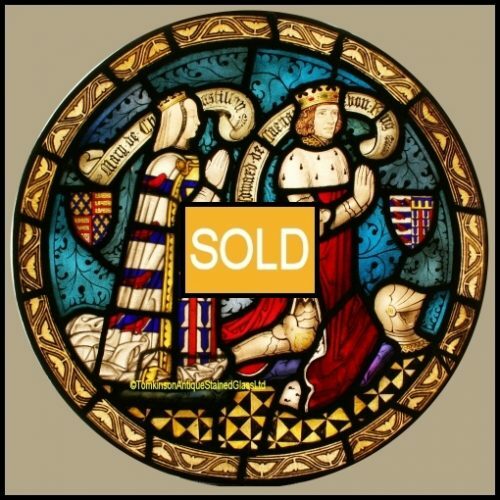 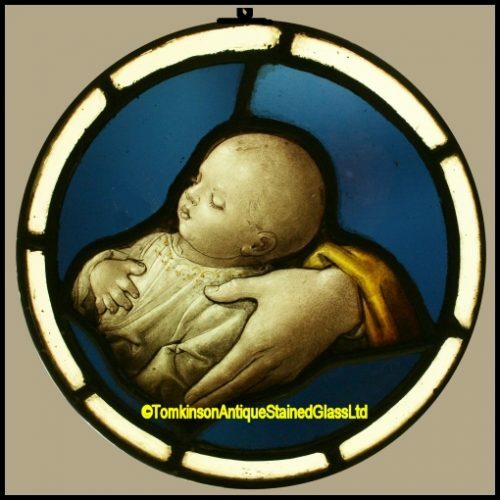 Antique leaded stained glass roundel depicting a central shield with hand painted Rampant Lion. 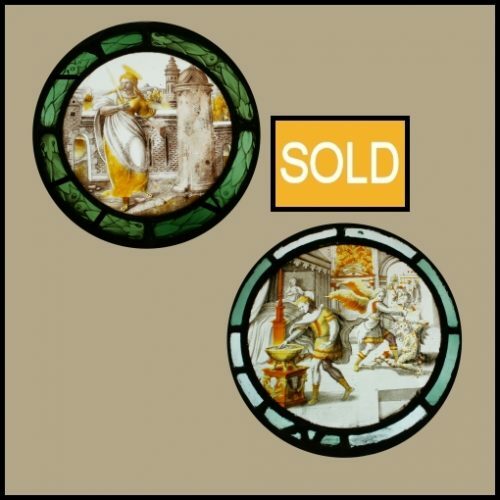 The outer glass hand spun antique “Crown Glass” with a hand painted border. 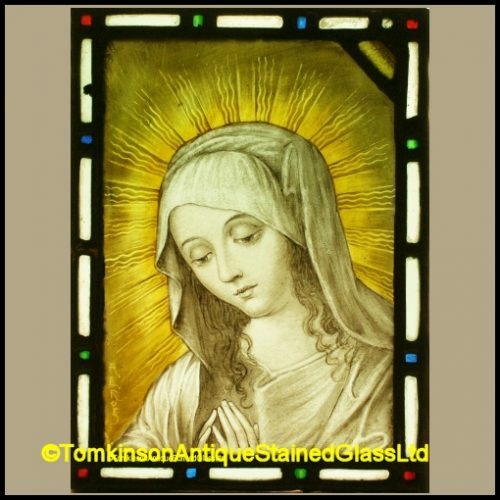 Lovely quality and in excellent condition, also with hanging loop attached.